For a guy who takes notes in classes at the university, the Nexus 7 keyboard case is one essential accessory. As I do not have a laptop, writing down the notes in class can be tiresome and can lead to the initial stages of hibernation. Carrying the heavyweight laptops can be a great burden and hence in my point of view, tablets are the best companion, be it an iPad or the Google Nexus 7 or any other tablets. Tablets are meant to be used only on screen but we can do far more that what it seems to be. 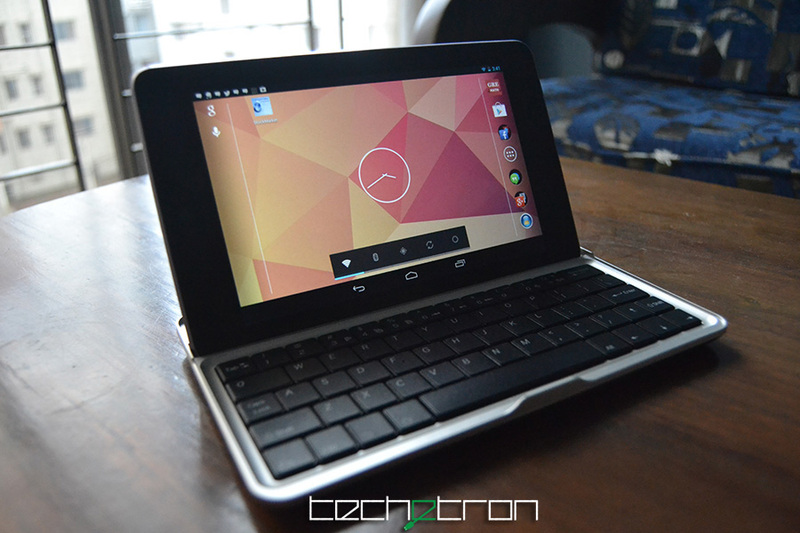 How about turning your 7-inch tablet into a small netbook? 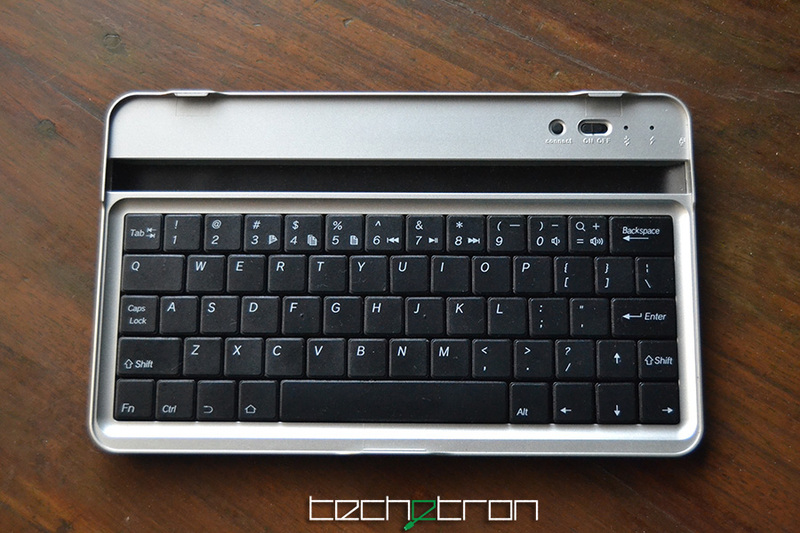 The metallic Nexus 7 keyboard case is one great device which will become a handy accessory. Now do not expect the keyboard to have a large real estate. For the Nexus device, this is the perfect measurement. When I received the package, I was confused whether my Nexus 7 would actually fit in the keyboard. Thankfully after unpacking it, the tablet fitted in perfectly. At front, the buttons are placed according to the QWERTY format with some slight modifications. The tab and the backspace button is placed at the top with the numbers. The Caps lock button placed next to A is shrinked from its original size. One of the main reasons to reduce the size might have been due to its less use. 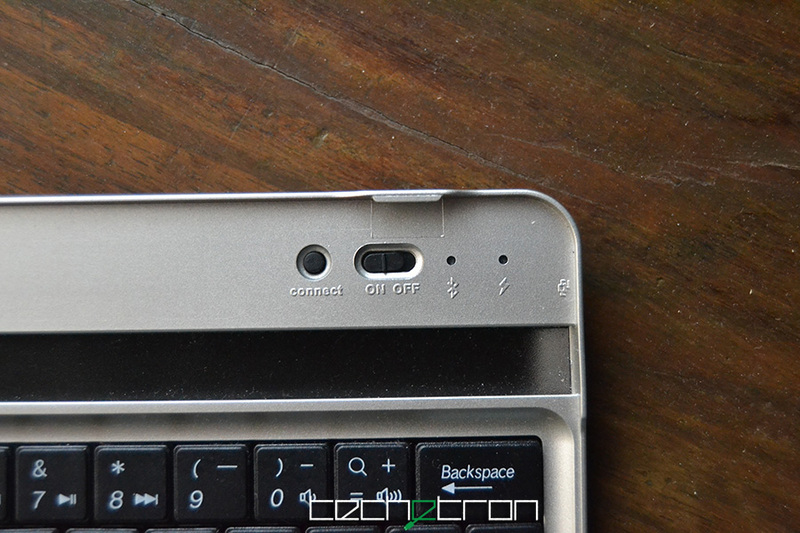 There are two additional keys which have been integrated in the keyboard, Android’s Home and Back button. By adding this, it’s supposed to save time from having to touch the screen. Some buttons such as the delete button is also missing from the keyboard but as you have the backspace, there won’t be much problem. At the top right there’s the power and the connect button. How to get it all setup? After switching it on, enable bluetooth and scan the devices. Be sure to press the connect button to send a signal to your Nexus 7 or your preferred tablet and you are ready to go. The keyboard has a standby time upto 60 days and if you want to work straight, the keyboard will last for at least 55 hours after which you would have to charge the device with the mini USB port located at the right side of the keyboard. With the tablet at 60 degrees, there is no problem of typing at all. For some the keyboard can be very small but I see no reason to complain about it because the keyboard is perfectly proportional the tablet itself. It would seem weird to have a large keyboard such as the Anker keyboard for the iPad to operate a 7-inch device. Initially it might be a problem to type but as you keep on typing, your fingers will adapt with the keyboard. When I opened the box, I was expecting a cover and then I realised that the keyboard itself is the case. The case has the exact measurement of the Nexus 7 and fitting it was as very easy, no hurdles. 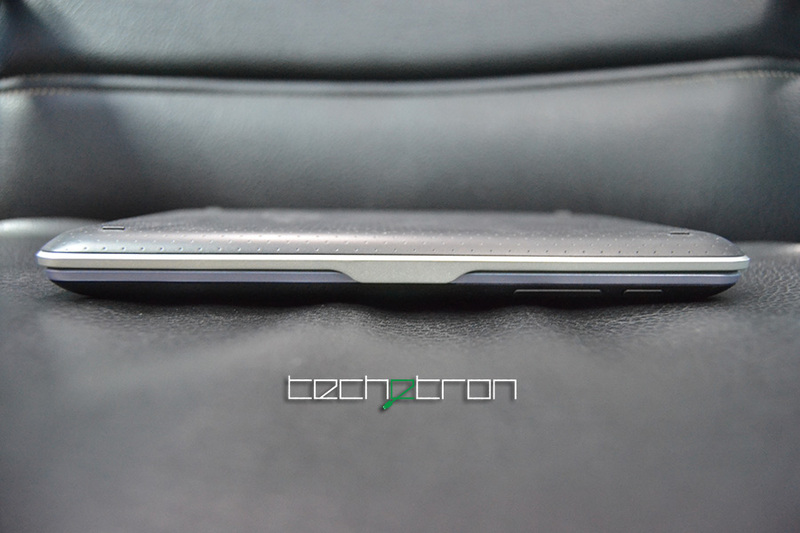 The back of the keyboard has the same finish of the rear of the Nexus 7 and makes the whole combo look elegant. If you are looking for a keyboard for your Nexus 7, this is the perfect product for the job. Although at first you might pull your hair for all the typos that you will make, I recommend you to carry on typing and your fingers would eventually adapt with the keyboard. Once you’ve adapted, everything will go smooth. This product was given by Mobilefun.com for review. Do check out more Nexus 7 cases here. I would like to purchase this keyboard, but where? I need something light and small.